Read the article in CNN Philippines. Manila (CNN Philippines Life) — Early into the Forbes 30 Under 30 Summit Asia 2017, the crowd cheered on as two very young CEOs — Sanjay Kumaran, 15 years old, and Shravan Kumaran, 17 — talked about how their dad didn’t want to shell out money for a VR (virtual reality) unit they wanted to test for one of their ventures. The problem is, VR headsets in the market are priced at Rs 26,000 to 40,000 (around ₱20,000 to ₱30,000) so their dad, an associate vice president at a technical solutions company, refused. The brothers solved the problem by creating their own VR headset, GoVR, which is significantly lower-priced than the usual VR headset. The brothers released their first app, Catch Me Cop (a mobile game where you play a con evading a nationwide hunt) when the youngest of them was only 11 years old. They learned how to code nine years ago by reading a lot of coding books. Since then, they’ve dispatched various apps such as Alphabets Board, which aims to help kids learn the alphabet faster, and Prayer Planet, “an app to pray [to] God easily and quickly on your mobile device.” They’ve accumulated 70,000+ downloads in 60 countries and was hailed by Apple as the youngest mobile application programmers in India. Forbes’s recent 30 Under 30 Summit Asia, held in Manila, is a smattering of young folks hailed by the magazine as “young leaders in 10 industries who are rising stars in the Asia-Pacific Region” — names their industries will be talking about years from now. 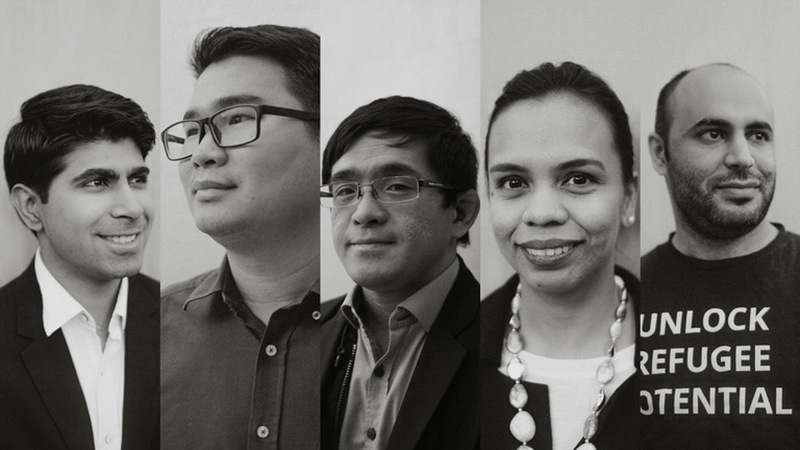 Though the list spans entertainment, arts, and marketing, to manufacturing and retail, list editor Rana Wehbe of Forbes Asia noted that social entrepreneurs are dominant on the list, responding to the issues of the Asia-Pacific region in more specific ways. Wehbe is quick to point out that unlike all the other Forbes lists, the 30 Under 30 list is not about wealth but rather success, focusing on social good, innovation, and impact. The summit brings together over 250 participants and is an opportunity to exchange ideas with their peers and present concepts and potential solutions. Here are five of the youngest innovators and game-changers from the summit who are addressing some of the world’s most pressing problems — from climate change to hunger. For Mijeno, a scientist who invented a salt water-powered lamp for remote and coastal communities, sharing the spotlight with former U.S. president Barack Obama and Alibaba CEO Jack Ma during the APEC CEO Summit 2015 was a double-edged sword. On one hand, it opened doors for them to work with NGOs and corporations who might want to sponsor SALt for communities’ lamps; but on the other hand, people expected a speedy manufacturing process for mass production of the lamps. For the project, Mijeno and her team want to go to specific areas in the countries which were left out of the national power grid, and by charitable companies that only helped bigger communities so as to maximize impact. SALt works with these communities from the ground up, making sure their needs are met and [that] a sustainable plan is in place. SkyEye started as an offshoot of a master’s degree requirement for Cua and his fellow students in 2009. Cua was interested in tackling climate change, but at that time, satellite images were expensive and hard to obtain. So they created their own drones for their surveys and research. One of their earliest and biggest commissions was when they were deployed to survey the areas affected by typhoon Yolanda in 2013. Since then, SkyEye has worked with various private companies, government agencies, and NGOs such as the United Nations OCHA (Office for Coordination of Human Affairs) for disaster response, mapping projects, aerial surveys, and other imaging and data-driven programs. SkyEye customizes their drones, since there are certain factors in the country that can hamper their operations. Now that Cua is at the forefront of gathering images of the country’s landscape, he’s also witness to the different changes brought about by climate change. In 2010, more than 75 percent of the rural poor in Cambodia did not have toilets and still passed waste in the open. WaterSHED executive director Daroath Phav explains this has been the way for these people, from their ancestors up to now, as an established communal behavior. “That’s one of the challenges, changing the people’s behavior. [People have been doing this for a long time] so they say ‘I’m okay. So why do I need one?’” says Phav. He joined WaterSHED in 2011 and helped rural families to invest in latrines and see the importance of having their own toilet. Convincing the families to invest in their health is one issue, but it is also another issue to supply this demand. This means Phav, who has a business background, also had to create a rural market to address this need. He likens it to buying a smartphone. 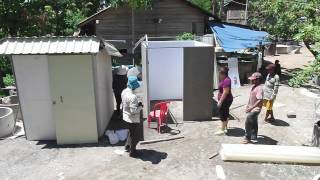 WaterSHED has had success in selling 150,000 toilets across Cambodia, generating $6 million for local businesses and increasing the sanitation coverage from 25 to 50 percent in just five years. Dacho was a refugee from Syria and was in dire straits because he couldn’t find a job placement. Despite the fact that he has a master’s degree in web science, with more than eight years of experience as an IT analyst and could speak English, it was still difficult for him to find a job in Australia. Working in Australia meant you have to have local experience, which Dacho didn’t have. But it took an appearance in a news segment as an unemployed refugee before offers came and eventually, employment. Now, Dacho has co-founded Refugee Talent with Anna Robson, who used to work at a detention center. The company helps refugees and migrants to get job placements by improving their resume, preparing them for interviews, evaluating their English level, and fixing their profile. They also set up mixers and networking opportunities for their clients and the candidates. They’ve been responding to Australia’s shortage of IT developers, bookkeepers, accountants, and laborers. And in just over a year, Refugee Talent has broken barriers for the people that they are able to help. It was an astonishing waste of food — for 10,000 people at a celebrity wedding — that finally made up Kawatra’s mind to address the hunger problem in India. Kawatra then left his cushy corporate job to establish Feeding India, which takes excess food from events, weddings, cafeterias, and other places to distribute them to those who need it. Feeding India has a system in place. They have 7,000 volunteers in 50 cities ready to get and distribute food. To make sure that the quality of food is still at 100 percent, Kawatra has consulted restaurateurs and chefs to make a quality check criteria. The team tastes the food themselves so they personally know if it still can be eaten or not. They have refrigerated vans in place, on call 24/7, ready to pick up and deploy food. Kawatra makes sure that the places in India that have excess food and the places that need food are connected, hence Feeding India’s “hyperlocal” approach. Feeding India has since served 4.8 million meals in the three years since it was founded. Kawatra has also gained recognition for his efforts, including a Young Leaders Award from Queen Elizabeth II.